Sprinting alone can be quite difficult, when the legs pain sets in and breathing gets harder. Now imagine all the struggles of that, with the added responsibility of jumping over hurdles. That is what junior Maison Beauregard lives for. Beauregard competes in the 110-meter and 300-meter hurdles, running a 17.20 and 42.84 seconds respectively; Beauregard is the top 25 percent in the start when it comes to the 110-meters hurdles according to athletic.net, a site that ranks high school statistics and results for track & field and cross country. But like most sports, hurdles have a strategy, which is to “minimize the vertical deviation of the center-of-gravity,” according to Livestrong, an online fitness news site partnered with the Livestrong cancer association. However, when Beauregard steps up to the line, the only strategy running through his head is “don’t fall and win,” he said. The strategy seems to work with him. 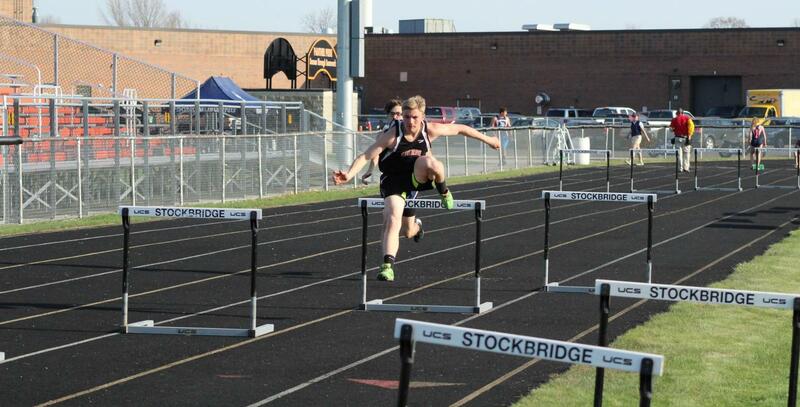 Beauregard took second place at Regionals for the 300-meter hurdles, and he is now heading to state finals. 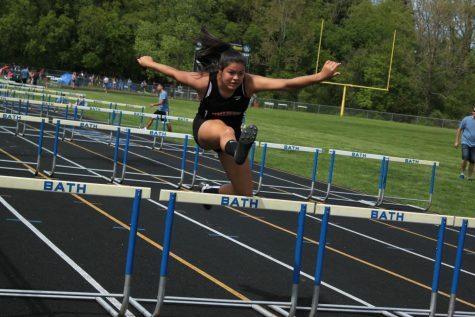 At Regionals, hurdler Elysia Media competes in the 100-meter hurdles, finishing with a time of 20.30. Chuck Bumpus, a former track athlete who has coached the sport for 10 years, thinks Beauregard’s success comes from all the effort that he’s been putting into practice this year. “He just seems to be practicing harder than he has in the previous years, and that’s why it’s paying off,” Bumpus said. Also, Bumpus thinks that Beauregard’s “good work ethic” helps too. Although others may find them difficult, Beauregard feels he likes hurdles because of that difficulty. Beauregard also continues to hurdle because of the pure speed of the race.